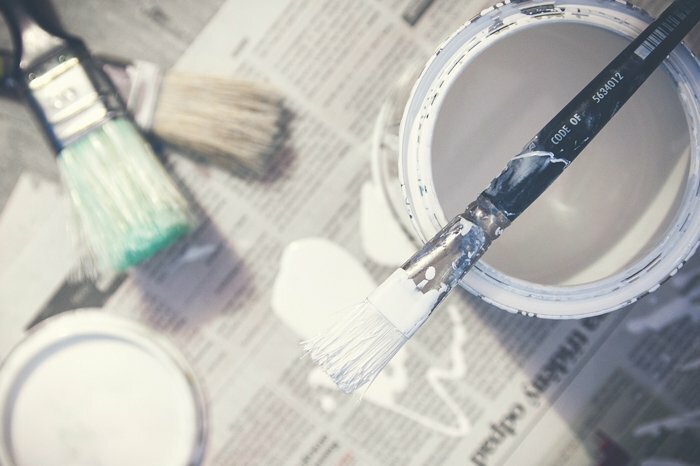 Before you even consider the option of opening up the paint can and just start painting the walls you must know that there is work to be done to prepare the surface before applying any paint. 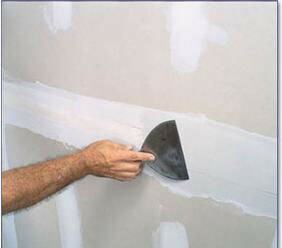 Drywall Repairs and Patching are a must before you brush on that first stroke or roll away with a paint roller. Otherwise the end result will show the imperfections. 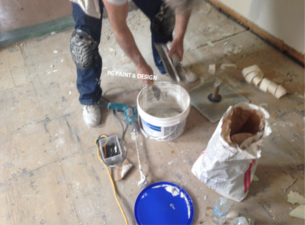 As your painter in Ottawa with drywall repairs experience we would like to share a few tips with you so that you too can get the desired professional painters look your after. You may not think it’s an important step and that maybe it can even be skipped but that’s the easy way out. Preparation is key to a professional painting result and it’s all in the surface preparation work. 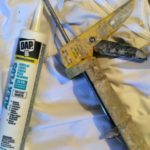 By following these steps to patching and preparing the drywall for painting you’ll be happier with the finished paint job at the end and you’ll be proud to show it off. Assess the walls before commencing. 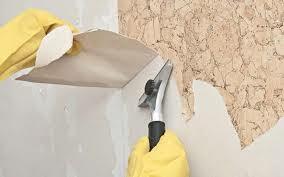 Check for drywall cracks, peeling paint, nail pops or broken drywall and holes. While you’re checking the walls give some attention to the ceiling as well ensuring you check for the same things as the walls. All these issues can be fixed with drywall compound application, then sanding it before priming with paint. If you have baseboards, trim, wainscotting or cove moulding you are painting, you should ensure those are filled with the proper wood filler, then sanded before applying primer paints. The interior walls of your home made up of drywall, plaster, wood trim, and baseboards should be prepared with filling all the cracks, holes, nail pops and any broken drywall should be repaired or replaced. 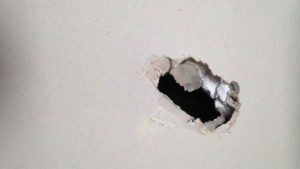 To repair the simple nail pops, cracks on the walls and ceiling is as easy as buying drywall compound and filling the necessary spots. If the drywall is a repair of a piece or big gap or hole, then a small piece of drywall may need to be added, taped and mudded. The drywall compound would have to have at least 2 or 3 coats with sanding in between each one. The final sanding would make it enough of a smooth finish that it would be ready for painting. 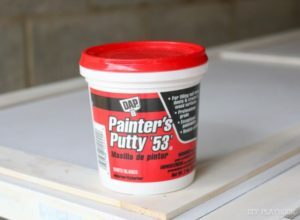 For smaller imperfections to drywall or wood work in baseboards and trim the painter’s putty can be used to fill in the nail pops after removing a picture frame or in the woodwork. Simply apply a small enough amount with a finger and press into the gap to be filled. Light sanding and prime before painting. All walls should be sanded and smoothed to achieve quality painting results. With a sanding block for small areas or a sheet of sand paper on the end of the proper tool. Lightly and in a circular motion sand down the areas where the drywall compound was applied. Ensure you wipe away any debris or dust to leave a smooth finish. You could also use a vacuum for bigger area. Ensure that all the trim, baseboards and other woodwork received the same attention. You want to ensure that there is no debris left behind from any of the products used or any of the sanding as this will show up as imperfections when the paint is applied. Wood trim such as baseboards, cove molding, wain-scotting, window and door frames will over time separate and or pull away from the ceiling or walls. This happens most often in newly built homes, where after a year or so when the house settles you’ll see the cracks and separation. As well in older homes after a few years because of indoor environment factors such as humidity or dry temperatures the same separation happens. These are easily fixable. You or the painter you’ve hired need to apply the proper caulking product. Use an acrylic latex caulk with silicone for best results. Making sure all debris is removed you can prepare to caulk. Grab a damp towel or rag and have a finger ready to go. After you’ve cut the 45 degree angle on the tube start in one corner. Begin squeezing the caulking gun and streaming it along the seam of the woodwork filling the gaps. Once you’ve applied a few inches worth, pull out that finer and get ready to smooth out the caulking bead. Apply light pressure as you slide the finger through the caulking and this will ensure the filling as well as smooth out the bead of caulk. Repeat until all corners, gaps, frames, trim baseboards are filled with caulking. Moving in a continuous straight line so that it evenly dries and you’ll know where you started and ended. The caulking must be completely dry before painting. Wallpaper is making a comeback in interior decorating of homes once again. As is said “What’s Old is New Again” . But if you are not into the wallpaper decor then before the painter begins painting the wallpaper and it’s adhesive properties must be removed and the wall completely freed of debris. The wallpaper can be removed using a mix of warm water and DIF product (follow the directions on the bottle) for a stubborn paste removal. You may also use a steamer and run the steam up and down the wallpaper a few times and then peel it off. 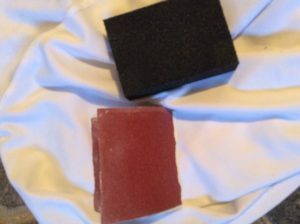 Warm water and a spray bottle with a sponge can sometimes work, if not use the DIF Product mixed with warm water for stubborn wallpaper paste. We recommend that to ensure the best possible painting results, just make sure you wash down the walls after wallpaper is removed. There will always be some trace of the paste left behind. Just sand it down and then wipe again. It’s best to use oil primer on the walls you’ve removed the wallpaper from. Oil primers will prevent any residual remnants from rising up into the latex paint topcoat. There are a wide variety of LOW to NO VOC oil paint primers available from paint manufacturers. If this is not a project you want to tackle on your own then you can call in the professional painters. 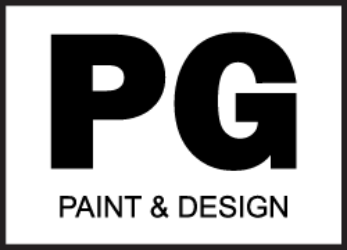 They are experienced and knowledgeable in drywall repairs, installation and house painting and paint colour consultation. The internet is a great place to get loads of information, we also suggest you talk to the experts at your local Ottawa paint stores. 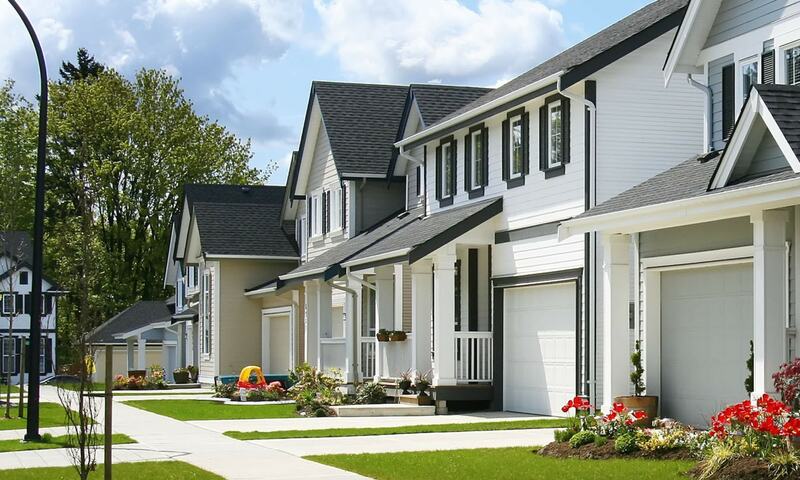 They have a wealth of knowledgeable staff ready and willing to offer your their sage advice on any questions you may have regarding the painting of your house, home, condo, or office space, even if it’s just a room, they are there to help, and it’s free. See our list of house painting services if you change your mind and decide to hire a painter.